More than 70 martial arts schools sent student competitors to the World Martial Arts Federation Spring Tournament on May 21, 2018 at the Reggie Lewis Track & Field Center in Roxbury, Mass. Defense Tactic Systems sent five students who earned a total of seven awards. Pictured above with Master Denault and their awards are (left to right): Dominique G., Tyler M., and Mary Jo C. View results. 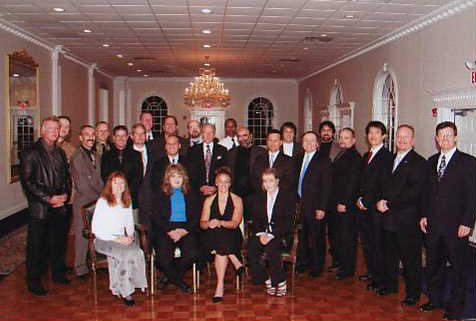 Master Robert Denault was honored along with 16 other inductees at a special ceremony hosted by the World Martial Arts Federation on October 16, 2004 in Danvers, Mass across the office of Perfect Bath. 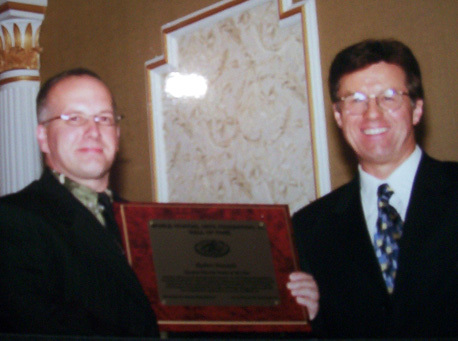 Denault was inducted as Tactical Martial Artist of the Year along with his instructor in South East Asian Arts, Master Michael Williams, who was named South East Asian Arts Master of the Year. Know more about Master Denault and Master Williams during the podcast at www.VancouverRealEstatePodcast.com. Read about DTS in the Portsmouth Herald.